Walled front gardens had been popular in Scotland for centuries, because the country’s harsh climate, ample wildlife, and poor inhabitants threatened household crops and safety. In the nineteenth century, these gardens protected an assortment of homes, from square Georgian dwellings to Gothic Revival residences inspired by Scotland’s historic mansions and castles. 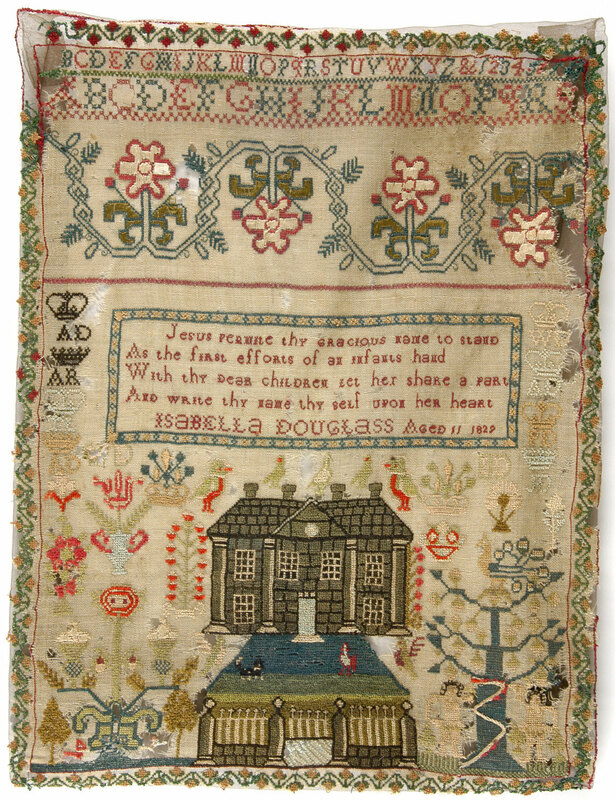 Isabella Douglass bordered her home with her relatives’ initials, including “AD” and “AR” for her parents, Andrew Douglas and Agnes Ritchie. The use of her mother’s maiden name was not unusual; it has been tradition for wives to retain their maiden names since the sixteenth century in Scotland.